At Storage Space, we offer a full range of removal services to choose from such as domestic removals, commercial removals, man and van removals, storage, and packing and boxing. Plus, they are more than reasonable in terms of pricing. Fortunately for you, despite moving being stressful, you can have the help you deserve. Moving does not have to be stressful thanks to our services. We can practically take care of your whole move – from start to end. You don’t have to lift a finger. Moving tends to be chaotic and this is because, a huge percentage of the time, most people do not plan and they do not get organised. You can hire us for our packing services, in which we pack and box all of your items; you can hire us for storage if you need more space; and you can hire us for either your home move or office move. Our options are limitless. Everyone needs a bit of help every now and then. As moving can be so stressful and so much of a strain on your day to day life, would it not be lovely to leave that stress and this terrible chore of moving to us, the experts? If you agree, why not book a date today on 020 8746 4354. You know it is the right thing to do. We promise to make your move to West London entirely stress-free. West London is the western part of London. The reason it is so popular amongst tourists is because of its rather handy proximity to the well-known airport in London, Heathrow Airport, which is also the largest airport in London. West London is made up of a few boroughs which are as follows: Ealing, Hillingdon and Hounslow. Despite it not having as many as Central London, West London still has its fair share of great landmarks for you to visit including Boston Manor Park, The Civic Centre, Windsor Street, Ealing Studios, Chiswick House and Gardens, and Ealing Town Hall. There are several parks in the area too for you take advantage of. In addition, there are many museums and galleries which are interesting to see. If you are planning on staying in West London for a few days, there are plenty of hotels for you to stay in during your visit. 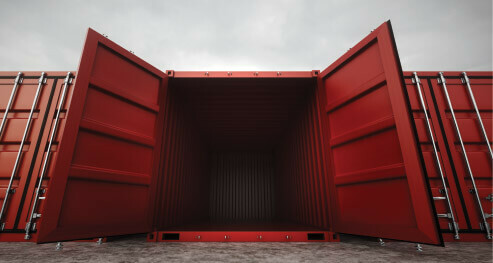 Contact Storage Space if you would like to find out about any of our removal services. We offer removal services at great value for money that you can’t afford to miss out on. Don’t miss out on this great opportunity! All of our removal services are first class – you will not find better elsewhere. We offer a range of removal services such as home removals, office removals, man and van, packing, and storage services too. So whether you need transport, good packing or extra space, we can offer it all to you at the best value for money. Moving is really hard and it can really drain you of time and energy. If you do not have this in the first place, it can be even harder. If you would like to find out more information on our removal services or if you would like to find out more about the benefits to hiring us, please get in touch today on 020 8746 4354 and we will be happy to help. We want to make your move to West London the best that it can be so hire us today and see instant results.